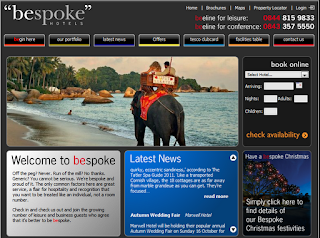 Following recent newspaper articles slating online holiday review site TripAdvisor, Bespoke Hotels has come forward to highlight the usefulness of the website to both current and prospective entrepreneurs within the accommodation industry. Luxury hotel group Bespoke Hotels has appeared in an article in the November issue of magazine Caterer and Hotelkeeper, in which the hotel’s chairman, Robin Sheppard, has spoken out against those that are unwilling to embrace TripAdvisor. The review website has caused much upset for hotel owners in the past, with past customers writing unfriendly and sometimes slanderous reviews that could potentially damage the hotel’s reputation. Despite being a part of the hotel industry though, Bespoke Hotels has different views. Robin Sheppard said in the article: “You’re going to get the occasional angry punter who’s had a bad experience. Sometimes it will be justified and you’ll know it. Sometimes it will be completely unjustified and you’ll know it. Rather than turn against TripAdvisor, Bespoke Hotels is instead urging fellow hoteliers to start realising the importance of the review website, as a majority of good reviews will only stand you in good stead. In fact, an industry report by the World Travel Market in 2010 showed that one in 10 consumers checked reviews on TripAdvisor before booking a hotel. This means that, when looking for a luxury hotel London accommodation, and hotels in other areas of the UK that appear favourably on TripAdvisor, you could see a spike in guests. Those against the use of TripAdvisor have fervently called for all reviews to be checked by website staff before being posted, whereas Bespoke Hotels disagree, saying that: “Owners, managers and executives work hard to keep staff honest and on their toes. So who keeps us on our toes? Why, the reviewers of course.